“Oh, there is nothing more painful than a parent losing a child,” you repeat from somewhere. But you don’t really understand. You see, my daughter is in her prime and vibrant and healthy. Only she is HIV positive and her friends have run away from her and she is afraid and I am afraid. I’m afraid of the slow ebb and flow of CD4 cell counts. I’m afraid of the treatment. I’m afraid no one will ever touch my daughter with love. I’m afraid of my daughter’s death. I’m afraid of her fear. “Oh, oh!” you step back, your “oh” sounding this time more like dread, and you wish I would talk about something else. No, you wish you could run, run away with my daughter’s friends. Only I won’t let you, because I want you to understand. I need you to understand that my daughter is dying and she is not alone: Half of the world’s HIV-positive people are daughters, and my daughter is one of them, here, not in a dusty Sub-Saharan African village. It is my precious daughter who is slowly dying, in the United States of America. But you don’t rush to comfort her, to sit with her in her anguish, to hold her closely while she sobs, because you don’t understand how women get HIV. So you think cruel things about my daughter and you wonder how you might react were she yours, but you don’t know, and you want to believe that that could never happen. “I am really so sorry,” you say, backing away. Again, I won’t let you, because you must understand something more. You must understand that there is hope, there is treatment, there is life. There is life for my daughter and all the others. We can wrap them in love and rock the fear away — theirs and mine and yours. But still my daughter is HIV positive, and still you are afraid of her, and still you want to flee from this disease, from her. But I really want you to understand. 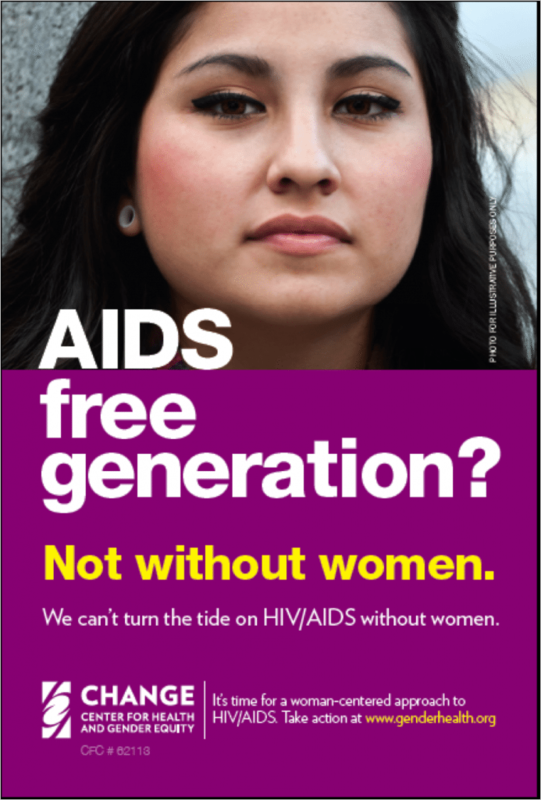 If we are to have an AIDS-free generation, you must understand that my daughter is not a monster, she is not a vile recipient of a vengeful god’s wrath, she is not an abomination. She is my daughter, and you are killing her, slowly, with your fear. So I really want you to understand, because if you refuse to understand, she could be your daughter. Dedicated to my friend J., whose HIV-positive daughter lives. Find an HIV testing service near you. The CDC estimates that in 2009 in the United States 24 percent of people diagnosed with HIV were female. Of this population, 57 percent was black women, 21 percent white, and 16 percent Latina. Globally, women represent 50 percent of people living with HIV. Join the campaign to demand that HIV policy and programs address women’s health. When are we going to treat this disease as a public health problem? We should test, communicate, and be transparent to all at risk. We should deal with those that act irresponsibly and risk others. We should not expect people who share needles to act responsibly. While I hope for the best for your daughter and I am encouraged by recent drug development, I think attacking this disease with a drug only strategy is politically correct but scientifically risky. HIV mutates. I do not fear your daughter. But during my twenty years of medical research, including handling of blood and cells from human organs, I have been at some risk and can’t believe we don’t have stronger public health program to stop transmission. To clarify, the piece is allegorical; my literal daughter is not HIV positive. We know this because, as you suggest, we treat the risk of HIV as a public health problem — as do many agencies and population segments — so we get tested regularly. The challenge is encouraging everyone to make HIV testing a regularly part of their healthcare regimes. Obama’s healthcare reform will help increase the percentage of the population with access to ANY healthcare regime. In the meantime, free testing is readily available, and folks can find a local provider at this link: .